Pour the coconut milk in a sauce pan along with the sugar and place over medium heat. Stir, once the sugar dissolves, turn off heat. Cut the avocados in half, remove the pit and scoop the pulp out. Cut the pulp into chunks and place it in the blender or food processor. Add the coconut milk mixture and lime juice, and puree until completely smooth. Process the avocado-coconut puree in you ice cream maker, according to the manufacturers instructions. Place in the freezer for a couple hours for firmer ice cream. If you don’t have an ice cream maker you can serve it as a cold mousse, or you can also freeze it and serve it as ice cream, but it will be a little less fluffy. But its still good! Lightly toast the shredded coconut on a small saute pan set over medium-low heat, stirring constantly so it does not burn. It will take less than a minute. Once the coconut becomes fragrant and acquires a tan, remove and set aside. Sprinkle over the ice cream. OMG! Pati I love you, your beautiful family and your shows! Your recipes are brilliant and you are amazing and so unbelievably kind to share your lifestyle and the wonderful United Mexican States with us. I am a widowed mother and grandmother and my daughter and I love to try new recipes. We live in SW Louisiana and cook a lot of old fashioned Cajun dishes that sometimes remind me of your dishes you so lovingly prepare. 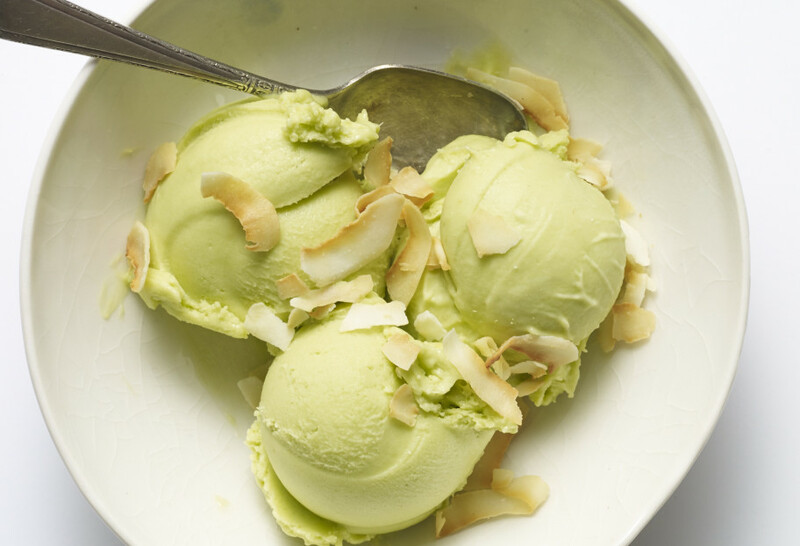 I want to make the Avocado Coconut Ice Cream and my question is when adding the coconut milk do I also add all of the liquid in the can or just the solid milk? I have used this lovely product before but usually w/o the liquid. Aww thank you so much, Rosita! For the ice cream you want to use Coconut Milk (not Coconut Cream) so it should be mostly liquid. Enjoy!